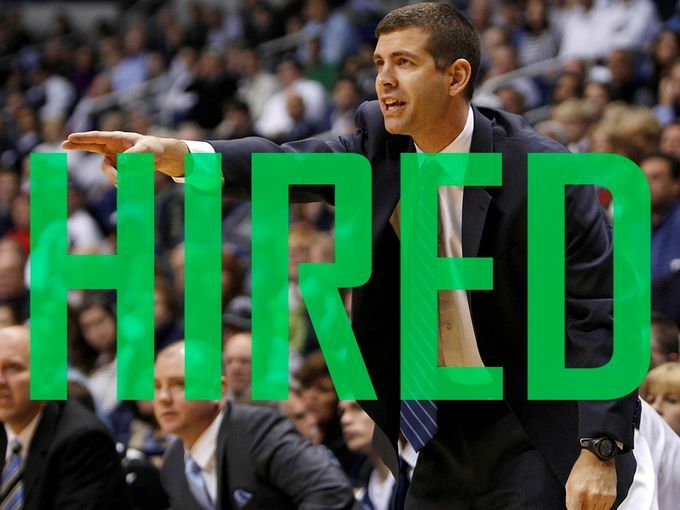 USA Today wrote: After years of rampant speculation, Brad Stevens has made the jump. The highly successful Butler University basketball coach has accepted the head coaching position with the Boston Celtics, the school and team announced. Stevens, who won a Division I-record 166 games in his first six years at Butler, never won fewer than 22 in a season and led the Bulldogs to back-to-back national championship game appearances in 2010 and 2011. Though he has done nothing to stir the speculation, Stevens has been linked to numerous big-time college jobs over the previous few years, including Illinois and UCLA. He had always ended up back at Butler. Until Wednesday. "Our family is thrilled for the opportunity given to us by the leadership of the Boston Celtics, but it is emotional to leave a place that we have called home for the past 13 years," Stevens said in a news release from Butler University. For Boston's sake, let's hope the fans give him some time to rebuild the once great Celtics. Didn't they just dump all their 'stars', so they could rebuild? That is a tough job in a market that wants winners, now! Rebuilding, seven feet at a time. Sad to see no Colt 45 this time though.